Among the many skin problems that may occur, psoriasis is one of the most common skin diseases. The popular English phrase, ‘the seven-year itch’, has humorous and sarcastic connotations to it. However, if you stop to imagine literally living with an itch for seven years, the humor quickly fades. Psoriasis is a common ailment of the skin that results in dry, often thick, itchy, and flaky plaques of skin that come and go throughout a person’s lifetime (1). Neither life-threatening nor contagious yet equally traumatizing, as most chronic diseases are, there are many therapeutic options available. 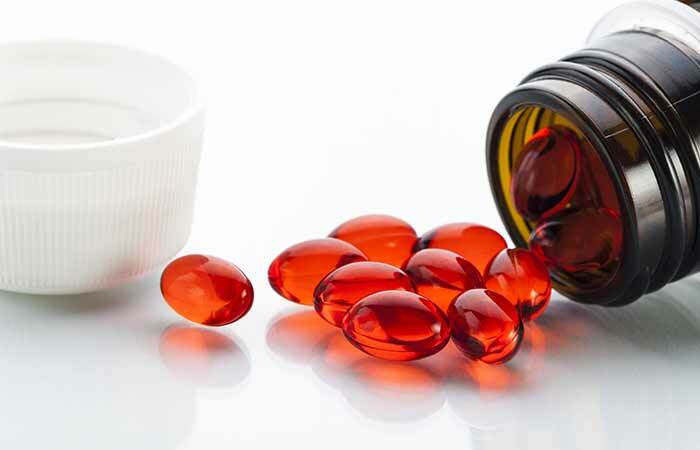 Often a variety of topical steroids and vitamin D creams are employed, however, depending on the severity, oral and injectable medications are frequently used. Even if you have psoriasis, do not worry, as it is treatable with the right management. Before you start treating your skin condition, consider the following about psoriasis. Psoriasis is a complex and often recurring skin condition with multifactorial causes. You may have red, flaky plaques on the skin, which seem to show no signs of going away (1). It is better not to ignore them as common skin problems. If you notice that there are small, red, scaly bumps in the above-mentioned areas, then you might have psoriasis. However there are several other skin conditions to consider, and it is best to seek diagnosis and treatment by a qualified professional. The exact cause behind this skin disease is yet to be known, but there are a few common factors which are attributed to this skin condition. Any immune abnormality that leads to the production of excess skin cells is one of the most recognized causes of psoriasis. A psoriasis outbreak can be triggered by a strep infection, skin damage, or even emotional stress (2). It can occur in sites of trauma and friction. There is a genetic predisposition with psoriasis, so if you have a family history of psoriasis, it is a good idea to take care of your skin and health, as you may be predisposed. The symptoms of psoriasis can easily be confused with the symptoms of other kinds of skin diseases, however many other skin diseases share similar treatments as psoriasis (1, 3). 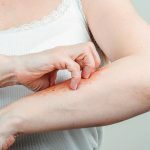 Psoriasis is usually treated with topical prescription creams containing corticosteroids and/or vitamin D. However, there are some anecdotal and well-studied home remedies that may be helpful. Add the vinegar to the water and mix it well. Depending on the size of the area that you want to cover, either use the cotton ball or the washcloth. Soak either of them in the ACV solution and wring out the excess. Place this on the affected area for a minute or so and then remove. Repeat this several times a day, as and when required, to control the itching. 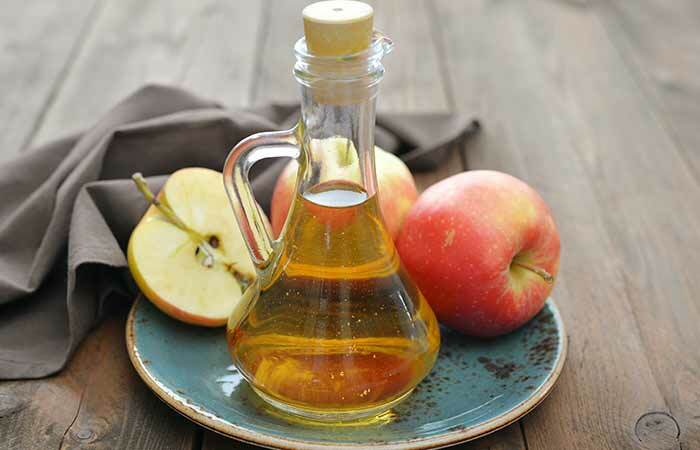 he light acidity of the apple cider vinegar balances the pH of the skin and reduces the itching sensation and irritation. It also exfoliates the dry and dead skin cells and acts as an astringent (4, 5). Be careful though, as it may be too drying. It is best to follow it up with a thick cream, ointment, or one of the oils listed below. Apply the oil over the patches that develop on the skin as a result of psoriasis. Reapply the oil every few hours. 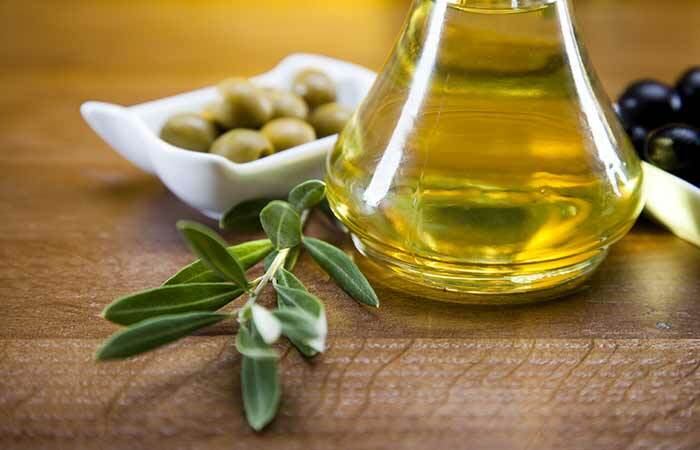 Olive oil is the magic trick that many of us forget about. It works as an emollient to hydrate the skin. It is excellent both inside and outside the body. Its regular application will not only help in healing patchy skin but will also keep your skin supple and glowing for ages (6, 7). This oil works best when it comes to managing psoriasis on the scalp. Apply this oil on the affected area and leave it on. Apply a couple of times during the day. 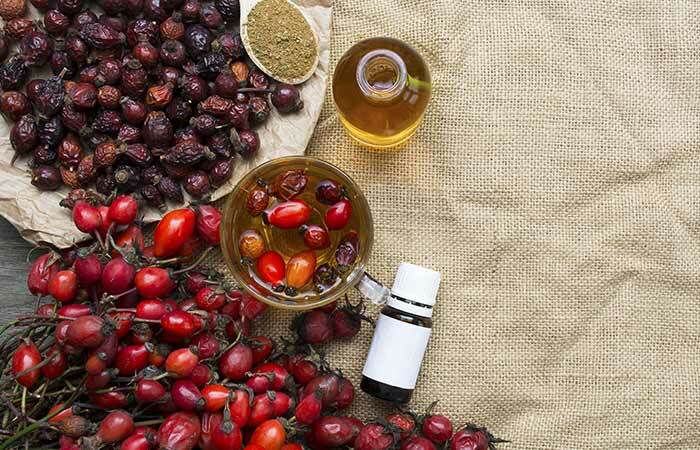 Rosehip oil contains omega fatty acids, vitamins A and E, and antioxidants. These will nourish the skin, eliminate the dryness and itching, and also heal the damaged and inflamed cells (8, 9). Place a few drops of this oil on the affected area and massage it for a few minutes. Use this oil three to four times a day. 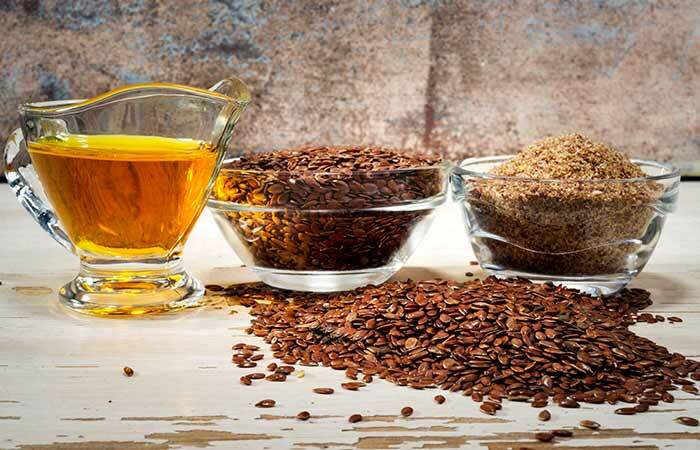 Flaxseed oil is a rich source of alpha-linolenic acid (ALA), omega-3 fatty acids, and antioxidants like tocopherol and beta-carotene. It balances the pH of the skin and keeps it hydrated. These effects will give relief from psoriasis symptoms (10). 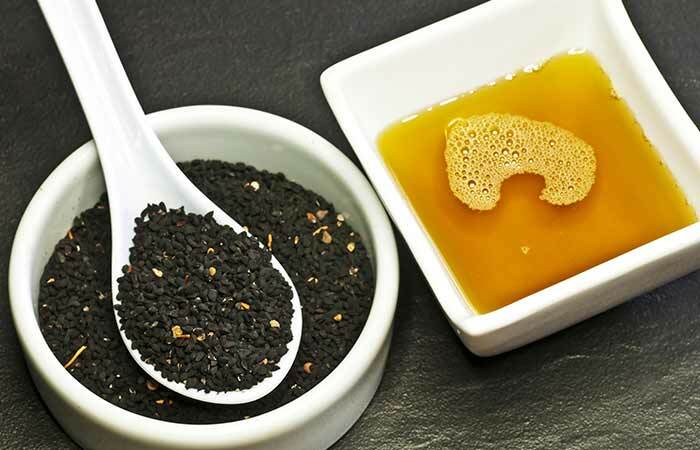 Mix the black seed oil and carrier oil together. Apply a few drops on the psoriasis patches and leave it on. Reapply this oil combination thrice a day. 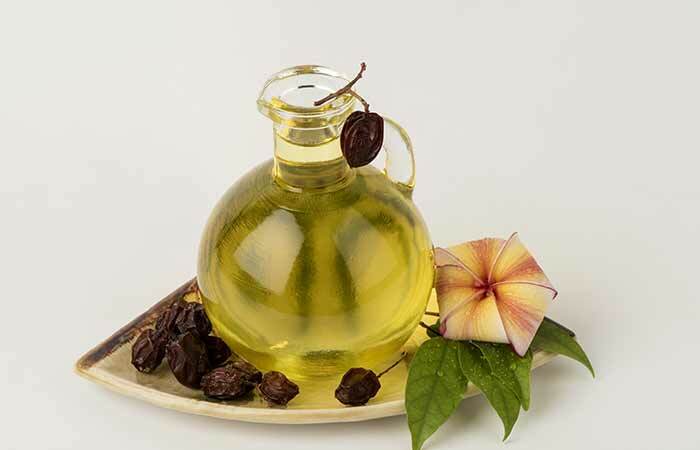 Black seed oil is called Kalonji oil in India and Middle Eastern countries. It is also known as black cumin seed oil. It soothes and moisturizes the skin. It also has anti-inflammatory and antioxidant properties (11). Apply coconut oil liberally on your body, preferably after taking a bath. Do this every day for healthy skin. 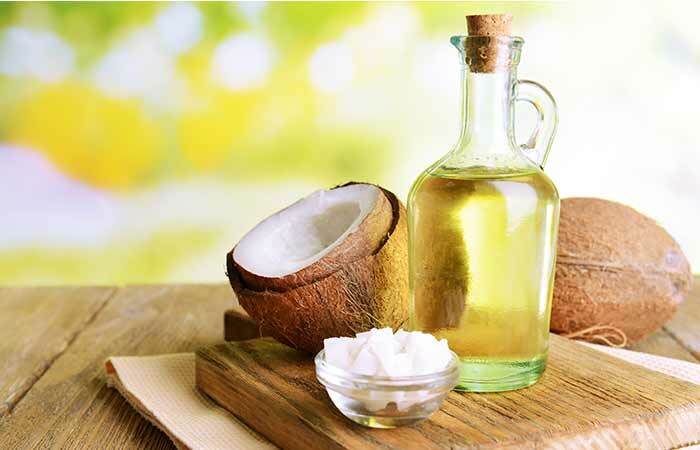 The anti-inflammatory properties of coconut oil will ease the pain experienced due to psoriasis (12). Its antibacterial properties will keep the skin infection-free, and its emollient properties will keep it hydrated, although it does not work for all (13). Symptoms of scalp psoriasis can be easily controlled with this remedy, as it helps to loosen any adherent scale. Dilute the essential oil in the carrier oil and apply on the affected area. Apply this oil a few times in the day, especially when you suspect that an infection can occur. This oil is beneficial to prevent any infections that can develop in the cracks of your skin that have formed due to psoriasis or because of you scratching the itchy skin. 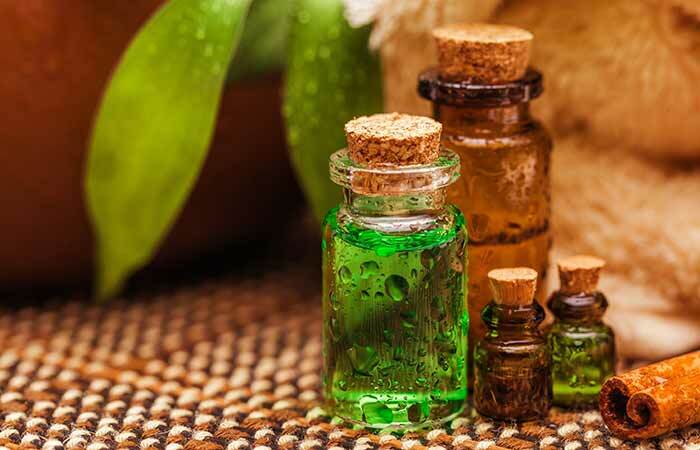 Tea tree oil also reduces inflammation (14). Do a patch test before using tea tree oil. If it doesn’t suit your skin type, it can aggravate the psoriasis symptoms on application. Apply neem oil on the affected areas either using your finger or with a cotton ball. Reapply the oil twice a day. The benefits of neem oil for the skin are extensive. Its anti-inflammatory and healing properties reduce the itchiness and irritation. It contains essential fats that nourish the skin and eliminate the scales and flakiness to a great extent. It also a strong antimicrobial agent and will protect the skin from infections (15, 16). Consume a capsule every day. Continue taking these capsules for at least three months to notice results. Psoriasis patients usually suffer from a deficiency in GLA, an essential fatty acid that keeps the skin healthy and hydrated. Evening primrose oil will take care of this deficiency. When ingested, the fatty acids present in it are broken down to supply the body with GLA (17). Pierce the capsule to extract the oil present inside. Apply it directly to the skin to get momentary relief from the discomfort caused by psoriasis. Also, consume fish oil capsules on a daily basis. 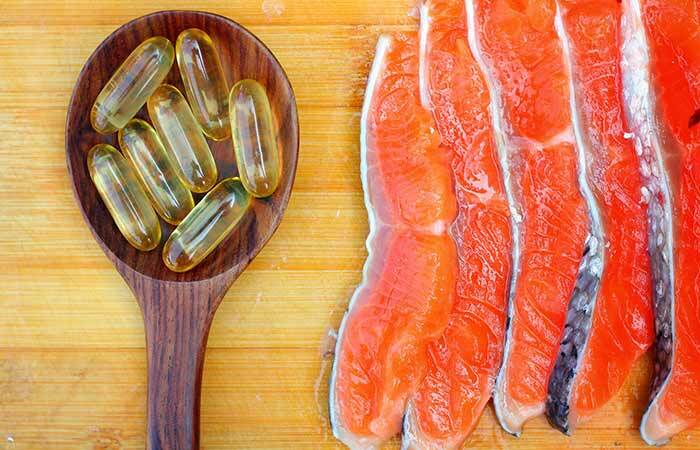 Include fish oil in your daily diet. Fish oil is very helpful when it comes to psoriasis, and has been well-studied. The omega-3 and omega-6 fatty acids present exert an anti-inflammatory effect on the skin and relieve the irritation. Upon regular ingestion, these fatty acids keep the skin healthy and supple (18, 19). Add colloidal oatmeal to the warm water in the bathtub and mix it in. It should stay suspended with very little settling down. If you cannot find colloidal oatmeal, grind whole oatmeal until it is a grainy powder. Do not overdo the grinding. Soak in this oatmeal bath for 15 to 20 minutes. Repeat this every day, once or twice a day. 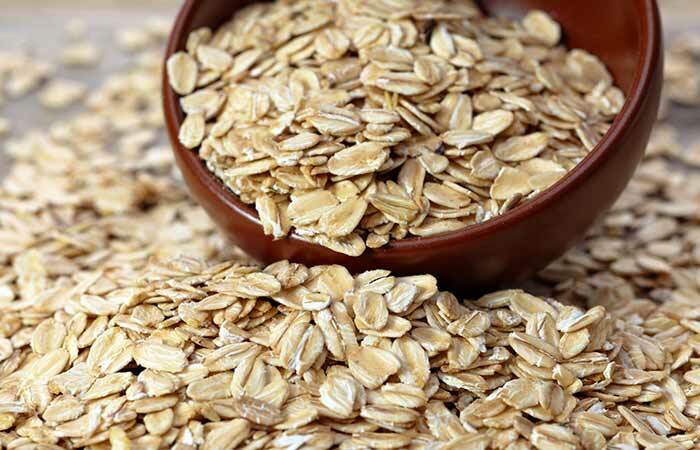 Colloidal oatmeal is widely used for its soothing properties for skin ailments like psoriasis and eczema. It heals the dryness of the skin while cleansing it (20). 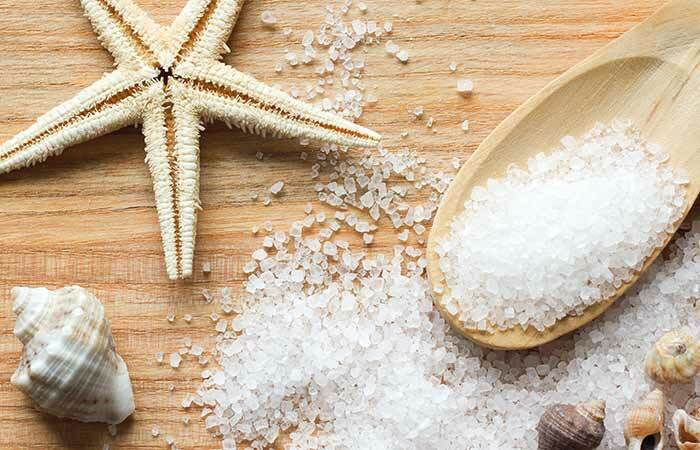 Add the sea salt to the warm water and soak in its goodness for 15 to 30 minutes. Rinse your body with clean water after. Soak in this relaxing bath every other day. The Dead Sea is enriched with minerals such as sodium, magnesium, and bromide that work on the inflamed and irritated skin and heal it. It reduces the dryness and hydrates the skin, leaving it soft like butter (21). Pour the warm water into the basin and add the baking soda to it. Mix well. Soak the affected area in this for about 15 minutes. Rinse the area with regular water. You can also add baking soda to a bathtub full of water and soak in it. 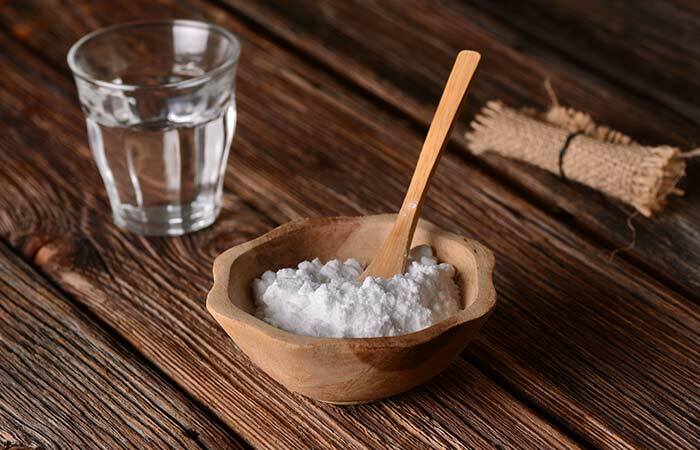 Baking soda soak done daily for at least three weeks will alleviate psoriasis symptoms. Baking soda or sodium bicarbonate is slightly alkaline in nature. It regulates the pH of the skin and increases the flow of electrolytes to the skin surface. It soothes the skin, reduces inflammation, and also removes the dead and dry skin cells (22, 23). Soak in this water for 15 to 20 minutes. Then, rinse your body with normal water. 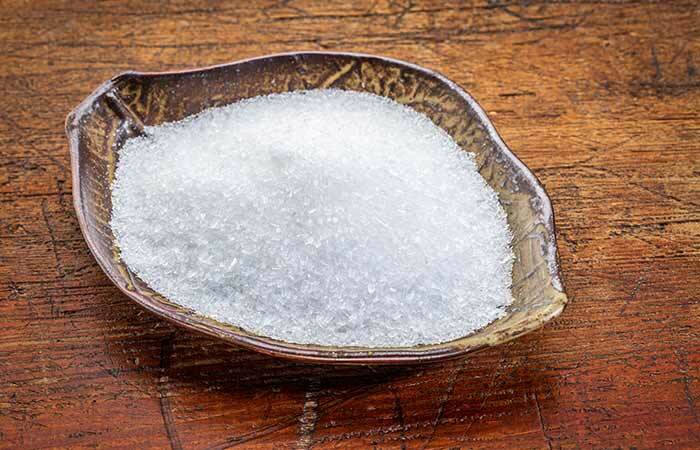 Epsom salt is excellent for detoxification of the body and exfoliation of the skin. Its magnesium content is responsible for its detoxification ability. It also softens the skin and relieves pain and itchiness (24, 25). Psoriasis results from an imbalance in the immune system. 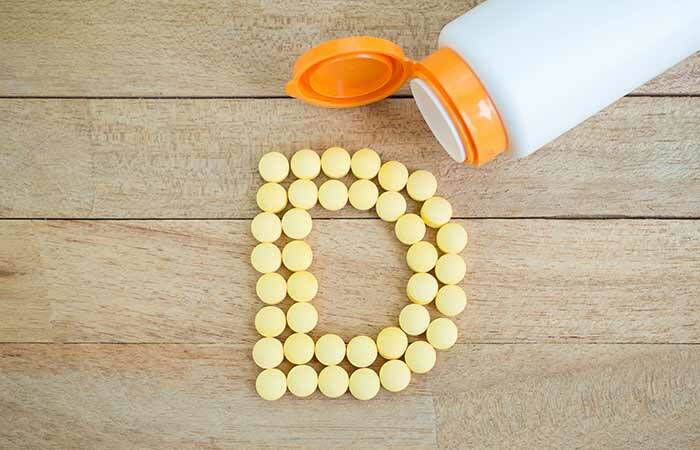 This overactivity can be regulated with the use of vitamin D. Food products and supplements that contain vitamin D can help ease the itchiness and discomfort induced by psoriasis. Vitamin D alters the functioning of the immune system in such a way that the symptoms of psoriasis are alleviated (26). 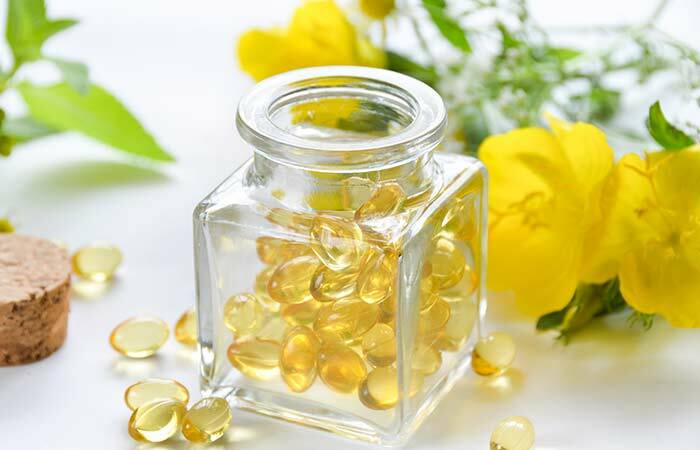 Vitamin E protects the skin from the harmful UV rays and also keeps it nourished and soft (27, 28). When it is not naturally produced by the body in enough quantities, it can cause psoriasis. To balance this deficiency, vitamin E supplements can be taken daily. Vitamin E oil can also be applied topically to further ease the itching and reduce the dryness. Treatment of psoriasis can be short-lived if there are no changes in the diet and lifestyle. For long-term relief from the symptoms, it is essential to make these changes. Some common diets recommended by specialists are mentioned below. Prescribed by Dr. John Pagano, this eponymous diet focuses on maintaining the balance between alkaline and acidic foods. Organic fruits and vegetables such as green leafy vegetables, broccoli, carrots, cucumber, celery, apples, ripe papaya, etc. should be consumed a lot. About 20-30% of your diet should include protein-rich food such as poultry, fish, and tofu. Dairy products should be consumed in limited quantities. Exclude red meat, fried food, white sugar, white flour, tomatoes, eggplant, white potato, chili, cayenne pepper, capsicum, and paprika from your diet. Do not drink alcohol and caffeinated drinks. Also, stay away from smoking (29). The alkaline diet is very similar to the Pagano diet for psoriasis. In the Pagano diet, the ratio of alkaline food to acidic food is 70:30. In the alkaline diet, this ratio is 80:20. The basis of this diet is to eliminate the acid that has built up inside the body and is causing psoriasis. Food and drink recommendations in the alkaline diet are the same as the Pagano diet. The association of gluten with psoriasis has recently been elucidated by scientists. This common allergen that is found in wheat, barley, rye, and all of their derivatives, can help relieve psoriasis symptoms when it is completely eliminated from the diet. The antibodies that are sensitive to gluten are found in a large number of psoriasis patients. By avoiding gluten consumption, the antibody-trigger (gluten), decreases inflammation in the skin (30). Mix the turmeric with the water and simmer this on low heat for a few minutes. A thick paste is formed. Let the paste cool down. Apply it on the affected area. Store the remainder of the paste in the refrigerator. Let it air dry for 15 to 20 minutes and then rinse it off. 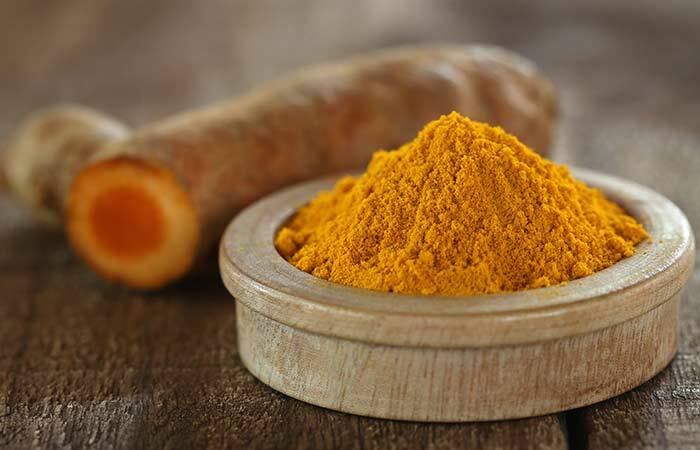 Turmeric (with curcumin) is a widely used nutraceutical for its antimicrobial, anti-inflammatory, antioxidant, and wound healing properties. It reduces redness and inflammation in psoriasis patients by down-regulating the skin receptors responsible for this (31). Apply a few drops of garlic oil directly on the affected area. You can also dilute it with a little olive oil in case you have sensitive skin. Apply garlic oil twice a day. 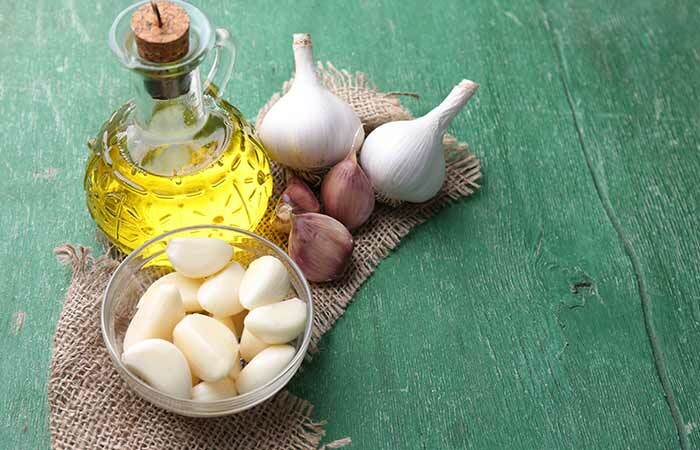 Garlic is known for its high content of natural antibiotic properties. You may have added it to your soups when you have a cold, but it is possible that it is great for psoriasis patients as well. Being a great lipoxygenase inhibitor, it stops enzyme activity that can cause inflammation. Garlic is also a wonderful addition to any dish, and it keeps your heart healthy, thus treating psoriasis at the same time (32). Cut open the leaf and apply the gel present inside it on the affected area. Massage in a circular motion for a minute or two. Rinse with cool water after 15 minutes. Apply aloe gel thrice a day. The anti-inflammatory and soothing properties of aloe vera reduce swelling, itchiness, and redness that are seen in psoriasis. 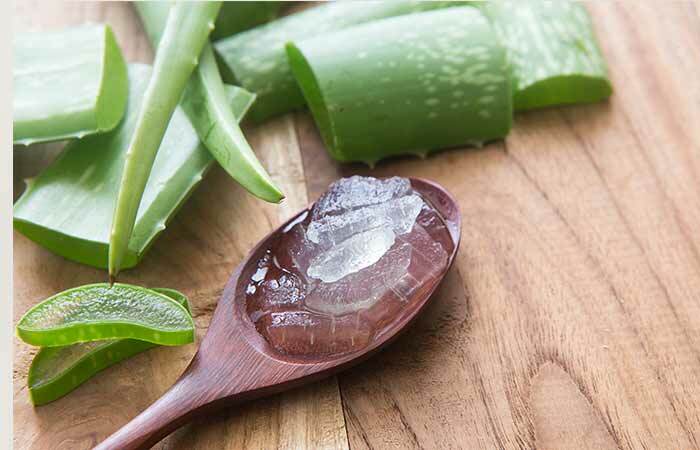 Aloe vera also reduces the thickness of the rashes and stimulates fresh cell growth. It hydrates and nourishes the skin to make it soft and healthy (33). Add the powder to the warm water and mix it well. Drink the herbal tea while it is still warm. Drink a cup of this tea, once in the morning and once in the evening. 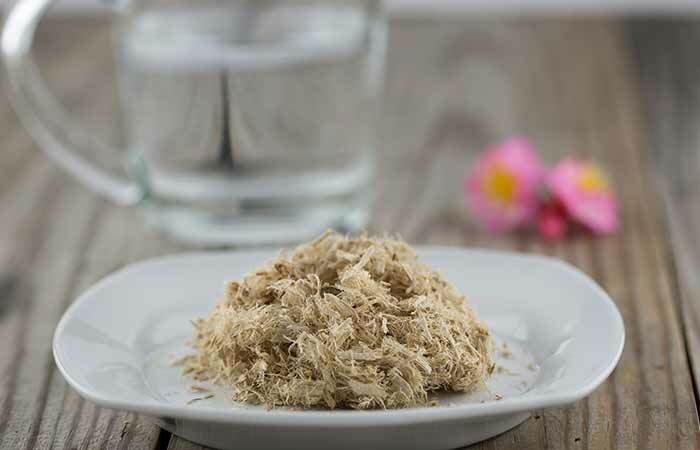 Slippery elm protects the lining of the digestive tract with its mucilage content and regulates the digestion process. It prevents toxins from leaking out of the digestive system and causing psoriasis rashes on the skin (34, 35). Do not let the tea sit for more than 30 minutes. If it has crossed 30 minutes, discard the tea as it has probably gone bad. Blend all the ingredients with some water and drink this juice. Drink carrot juice once daily. Carrots are rich in beta-carotene and many other nutrients. 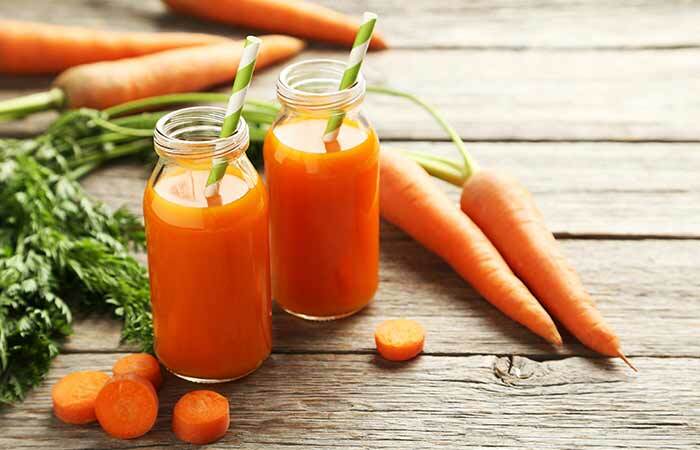 Beta-carotene is a photo protector and acts as an antioxidant. It protects the skin from UV damage and also maintains the elastin and collagen levels (36). Mix the lemon juice in the water and drink this 20 minutes before any meal. Alternatively, you can also apply lemon juice directly on the rashes and lesions. Rinse the lemon juice off using warm water after five to 10 minutes. 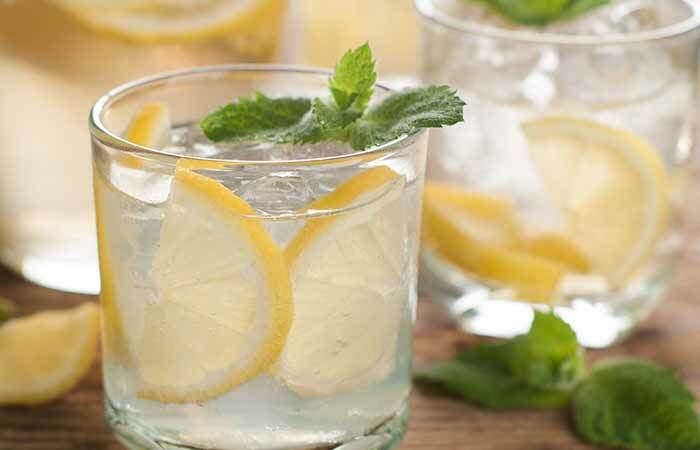 Drink lemon water daily before every meal and apply lemon juice topically every day for three to four weeks. Lemon regulates digestion and also detoxifies the body. It boosts the immune system and replenishes the skin with its vitamin C and antioxidants (37, 38). Chop the wheatgrass blades with a knife and blend it with water in a blender/grinder. Strain the juice using a sieve or muslin cloth. Take 1/4 cup of the juice and add some orange juice or a dash of lemon juice to it. Drink this, preferably on an empty stomach. Store the rest of the wheatgrass juice in the refrigerator. 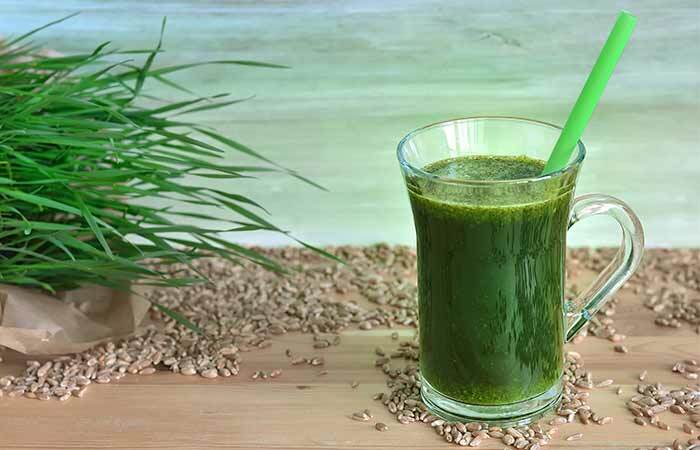 Apart from the high chlorophyll content, wheatgrass juice is rich in vitamins A, B, and C, and minerals like magnesium, potassium, sodium, calcium, and iron. Drinking wheatgrass juice will purify your blood and neutralize toxins. It also promotes new cell growth and detoxifies the digestive system (39). Blend bitter gourd pieces with some water to get the juice. Do not forget to remove the seeds from the vegetable before cutting it. Dilute the juice in water and add a dash of lemon and honey so that the juice is not too bitter to drink. 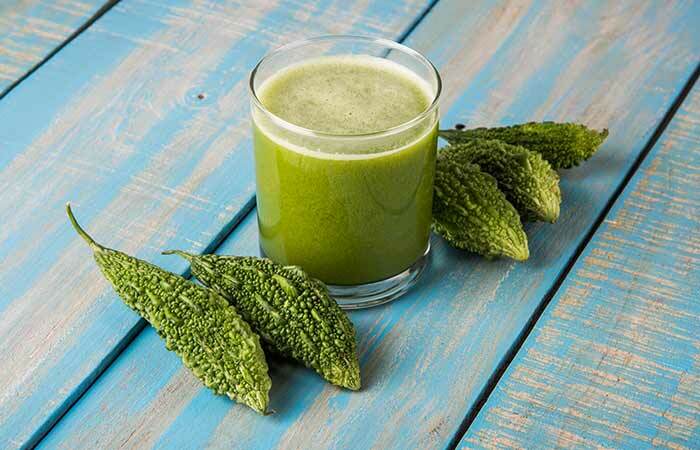 Drink a glass of this juice in the morning on an empty stomach. Drink bitter gourd juice every day in the morning for a few months to notice the difference. Called ‘Karela’ in Hindi, this vegetable can be easily found in Asian supermarkets. Its medicinal properties help eliminate psoriasis symptoms. It has antibacterial properties and also components that regulate digestion. It is rich in vitamins A, B, and C, and iron (40). Drink 240 ml or 8 ounces of coconut water daily. An adult can consume this amount of coconut water for a couple of months to treat psoriasis. 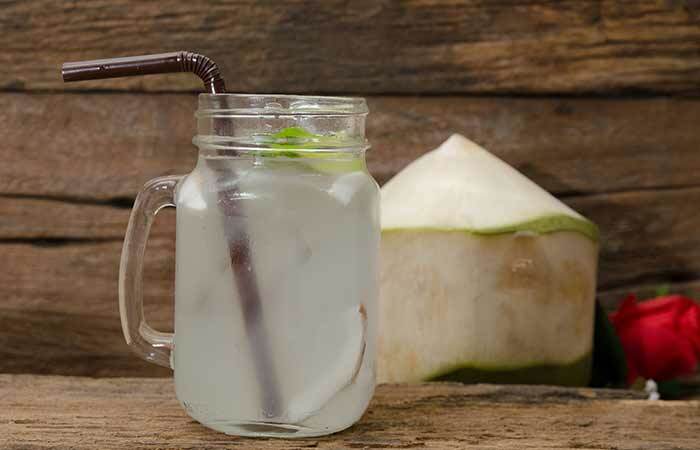 Coconut water hydrates and moisturizes the skin and clears out any infections that may be present. It also aids digestion and helps the body to absorb nutrients better (41). Soak the green tea bag in hot water for about five minutes. Remove the tea bag and drink the tea while it is warm. 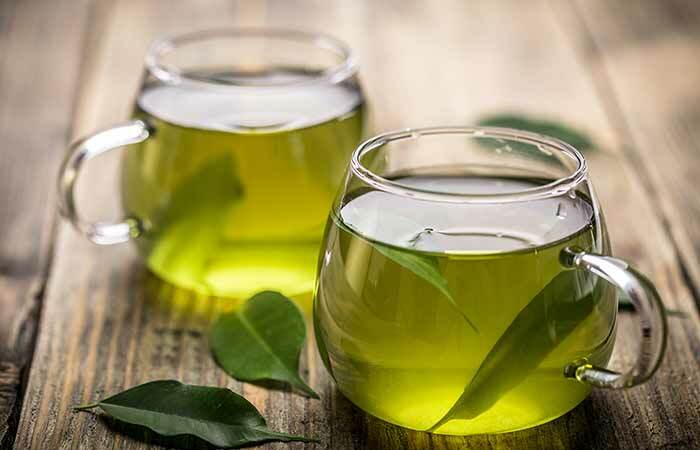 Green tea is known for its antioxidant content and can certainly aid your body in dealing with the psoriasis symptoms. It eliminates any triggers or toxins that might aggravate the rashes and itchiness (42). Add the saffron tea to the cup and pour the hot water over it. Mix well and let the water cool down to lukewarm temperature. Strain and drink this tea before hitting the bed. 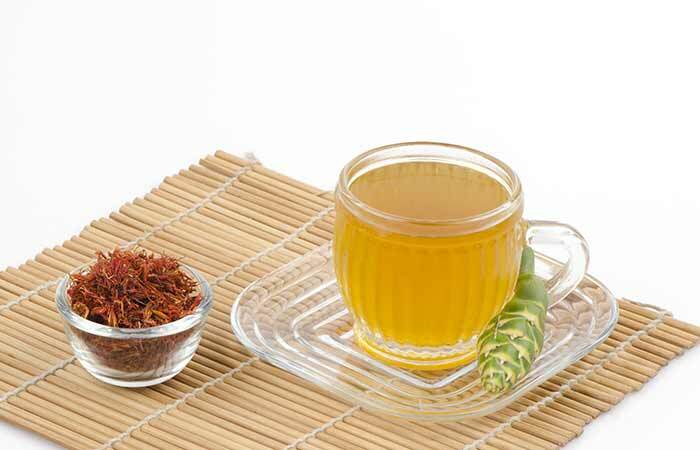 Drink saffron tea before going to bed every night. Steep the tea bag for a couple of minutes in hot water and drink it. You can drink a cup or two of this tea every day. 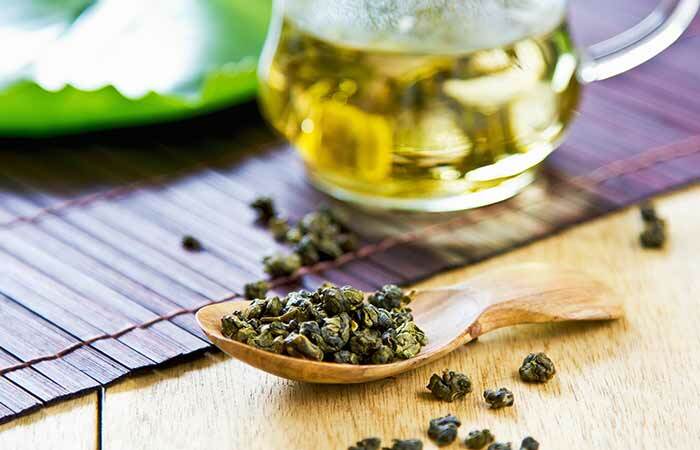 Oolong tea is a semi-fermented tea that contains polyphenols, which have antioxidant and anti-inflammatory properties. They also protect the skin cells from UV damage (44). 1. Soak the cotton ball in the buttermilk and apply it on the affected areas. 2. Leave it on for a couple of minutes before rinsing it off. Also, drink two to three glasses of buttermilk every day. Apply buttermilk twice a day on the psoriasis rashes and plaques. 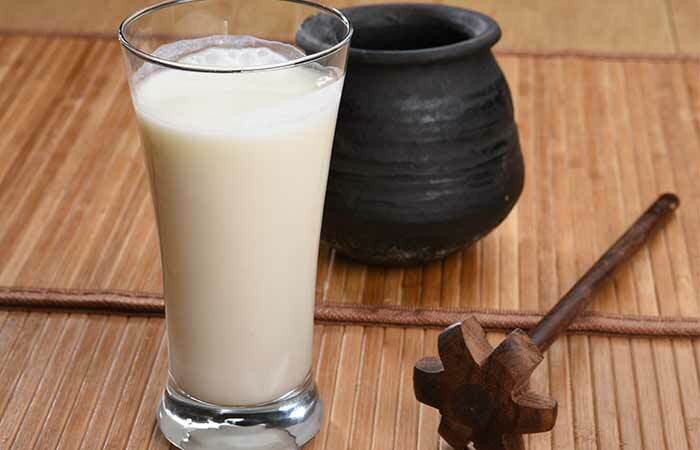 Buttermilk soothes inflamed skin and also balances the skin’s pH. It is a natural astringent as well (45). It also provides a healthy dose of probiotics to heal the skin. Psoriasis may not be an easy skin disorder to live with, however many of its symptoms can be alleviated with the use of the remedies listed above. Let’s now review the types of psoriasis. With the advance of modern medicine, psoriasis can be accurately diagnosed and classified into its many subtypes. This knowledge has given the ability to relieve the uncomfortable and traumatizing symptoms of psoriasis. Let’s take a detailed look at the different types of psoriasis and their treatments. The most common type of psoriasis, plaque psoriasis manifests itself as raised, red patches covered with a whitish build-up of dead skin cells resulting in scales. These patches usually appear on the knees, elbows, scalp, lower back, palms, and the soles of the feet. When biopsied, plaque psoriasis skin is thicker and more inflamed in comparison to eczema. Although treatment is individualized, a combination of topical, oral, and/or injectable medications, in addition to phototherapy often helps to bring psoriasis into remission. Guttate psoriasis is the second most common psoriasis that often starts in childhood or early adulthood. It is characterized by multiple small red spots all over the body and commonly occurs on the trunk and limbs. The plaques are not as thick as compared to other forms of psoriasis. Guttate psoriasis is often triggered by respiratory infections, tonsillitis, streptococcal infections, stress, and injury to the skin. As with plaque psoriasis, guttate psoriasis is treated with a combination of topical medications, oral medications, and phototherapy. Intertriginous psoriasis, commonly known as inverse psoriasis, appears as lesions under the folds of the skin. 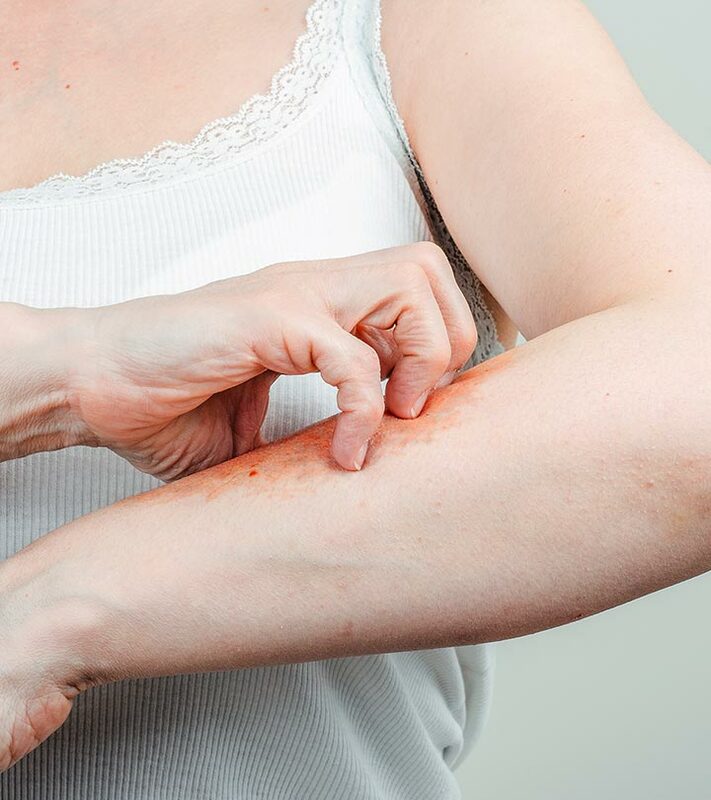 Commonly found in the groins, armpits, under the breasts, and in other skin folds, inverse psoriasis appears as red, often smooth and shiny lesions. Common to unexposed areas vulnerable to sweat and humidity, it is often very itchy and bothersome. It is more common in overweight people with deep skin folds and is also found in combination with other types of psoriasis. Most commonly treated with topical medications and oral drugs. Phototherapy is only used in extreme cases. Common topical medications for inverse psoriasis are mild topical steroids and steroid-sparing anti-inflammatory topical creams, such as Tacrolimus and Pimecrolimus. Characterized by pustules or blisters of noninfectious pus, pustular psoriasis is not very common, and it is a traumatizing of all forms of psoriasis. The pus in the blisters consists of white blood cells that aren’t infectious or contagious. Pustular psoriasis is usually found in adults and may be predominant in certain areas of the body, such as the hands and feet. The common triggers for pustular psoriasis are pregnancy, emotional stress, certain medications, overexposure to UV light, among others. Acitretin, cyclosporine, methotrexate, oral PUVA (the light-sensitizing drug, psoralen, plus ultraviolet light A), and TNF-alpha blockers, such as infliximab, are the common means of treating pustular psoriasis. The rarest type of psoriasis, erythrodermic psoriasis manifests as red and itchy skin over a large area. Unlike other forms of psoriasis, the skin sheds in sheets instead of flakes, and fluid loss can be almost fatal, resulting in dehydration and other systemic symptoms, such as unstable body temperatures and a higher heart rate. Particularly difficult to treat, erythrodermic psoriasis is often initially treated with topical steroids and moisturizers. However, treatment gets more complicated with time, and often, a combination of treatment including oral drugs and topical medications, UV exposure, and oral PUVA is needed. These are the most common types of psoriasis (2, 46). 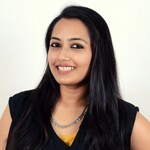 The area affected and the symptoms shown are the best ways of knowing the kind of psoriasis that you are dealing with. This autoimmune disorder can be triggered by many factors that can stimulate your immune system and cause psoriasis symptoms. Some common triggers have been identified, and it is best to stay away from them to avoid psoriasis. Alcohol consumption damages the liver and builds up toxins in the body, which can trigger psoriasis. Like alcohol, smoking can also introduce toxins and harmful chemicals into the body. This can damage the skin and trigger the autoimmune response. Stress is a common trigger for many skin problems, especially those that involve the immune system. Practice yoga and meditation exercises to relieve some of the stress that you might be experiencing. 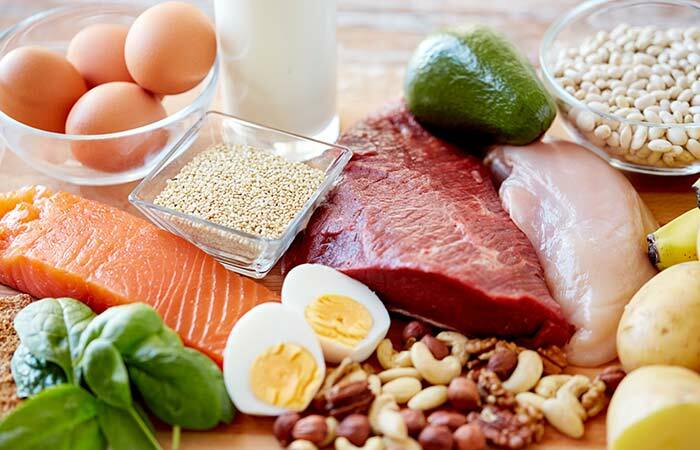 Improper diet – People who have psoriasis should avoid red meats and fatty acids from their diet. If you do have a craving for red meat, choose lean cuts of beef instead of the fatty ones. White meat, like chicken and turkey, are great as well since they will help in improving your skin and heart. Sunlight can damage the skin’s top layers, causing sunburns and rashes. These can further trigger the development of psoriasis symptoms. Injuries, such as cuts, scratches, and bites, in psoriasis patients can cause new psoriatic lesions to develop around the area. Be careful by taking extra precautions such as using gloves and wearing long-sleeved clothes. When you have any skin disease, it is very important to keep your skin clean and, if possible, sterile. If your skin is dirty, it might lead to more complex skin conditions. The best way to do this is by taking frequent baths. While bathing, try to avoid harsh chemical products. Try herbal shampoos and soaps instead. Even if you do not want to take or do not have time for frequent baths, you can stay clean by washing the affected areas carefully. Apart from these, psoriasis can also develop into psoriatic arthritis. Pain, swelling, and stiffness in and around the joints and tendons are developed (47). Do not confuse your psoriasis rashes with rosacea or eczema. If you are unsure about what exactly is ailing you, please consult your doctor. Although there is no cure for psoriasis, home treatments do exist, which can help ease the pain caused by these skin lesions. Some of these simple home remedies for psoriasis can help treat the acute condition. However, if the condition persists and there is still no cure, consulting a dermatologist is mandatory. A treatable skin disorder, psoriasis has affected thousands of people worldwide. We see that some people are genetically more likely to have the disorder. If someone in your family has psoriasis, the chances are high that you may be affected by it. Is psoriasis of the skin contagious? No, psoriasis is not contagious. It does not spread through contact. Does psoriasis itch when healing? Itching is one of the main symptoms of psoriasis. When the rashes start healing, the itching sensation should reduce as the treatment progresses. Does psoriasis rash go away? With effective treatment, psoriasis rashes fade away to a great extent. However, this may take quite a few months or even a few years. Can laser treatment help psoriasis go away? With advances in science, more potent treatments are being developed for psoriasis. Laser treatment is targeted only on the affected tissue and works faster than the traditional light therapy. In just eight to 10 sessions, results are visible (48). Is psoriasis linked to other autoimmune diseases? Unfortunately, having one autoimmune disease can easily trigger others. Psoriasis patients have been recorded to have at least one other autoimmune disorder. Some examples of associated autoimmune diseases include psoriatic arthritis, rheumatoid arthritis, type 1 diabetes mellitus, and vitiligo (49). Each person responds to a specific treatment differently. Do not fret if a treatment that helped your friend does not work for you. Be patient and try the treatments under the guidance of a dermatologist for best results. Psoriasis is an easily manageable skin disease, but only if it is detected on time. If you are genetically susceptible to it, be cautious. No matter how many dermatologists you visit, the health of your skin is ultimately your responsibility. It is easy to see that home remedies for psoriasis are safer than the medical remedies. But in the case of severe psoriasis, medical remedies are the only way out. Hence, it is best to recognize the symptoms of psoriasis early and start any kind of treatment before it is too late. Is Banana Peel Helpful To Treat Psoriasis?